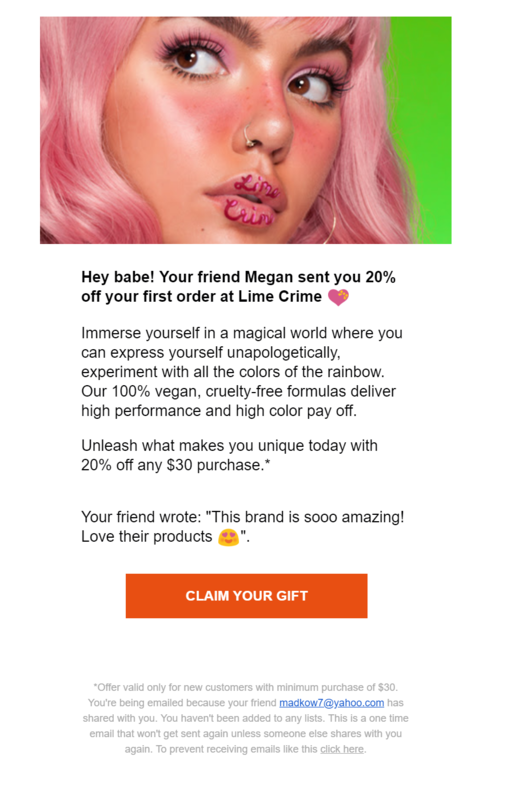 Lime Crime is a cruelty-free and vegan beauty brand. They think of beauty products differently and pride themselves on uniqueness. 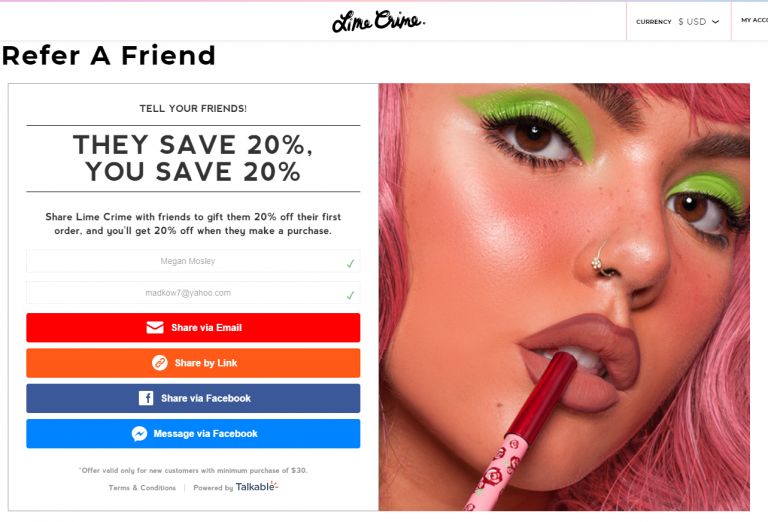 The brand is digital-first and offers a variety of makeup and hair products in their e-commerce store. They earn a solid ‘A’. Their program is easy to find from the homepage and user login, plus it uses great imagery. They have also recently redone their reward structure and went from $5 off to a 20% off coupon. 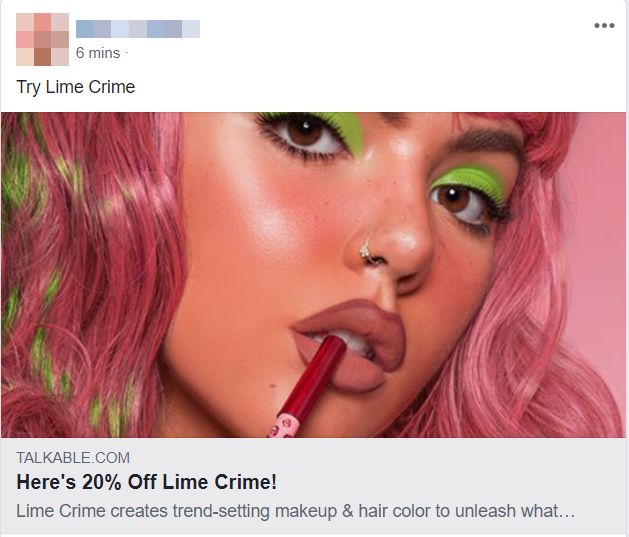 Lime Crime offers a nice double sided reward. 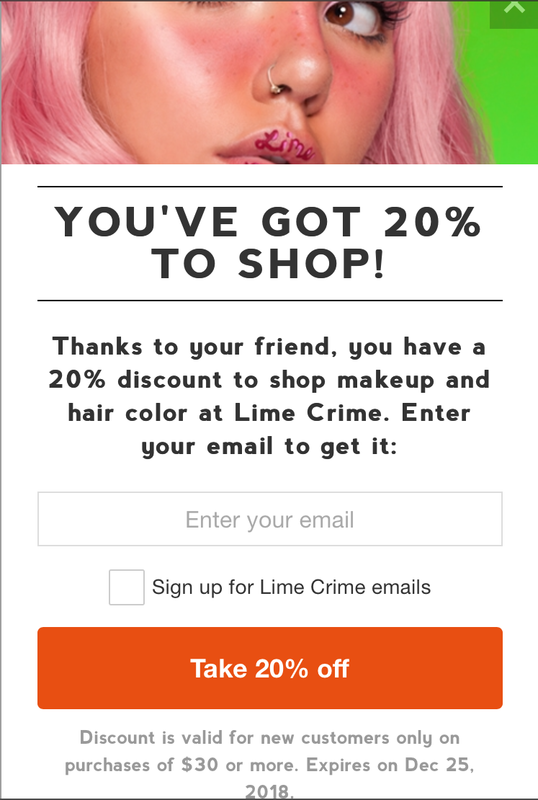 Offering 20% to both the customer and their friend. 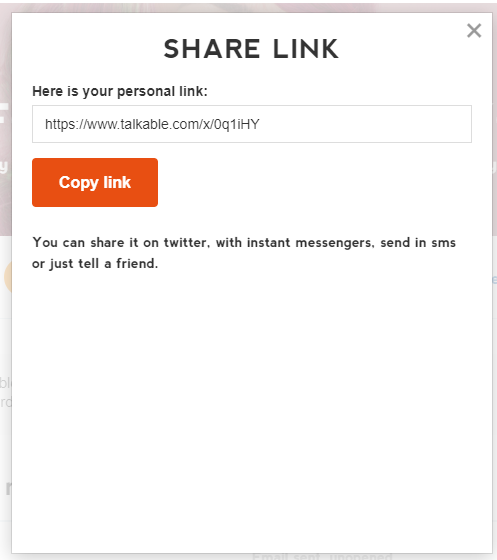 They also provide numerous sharing options to make it even easier for the customer to get the word out.